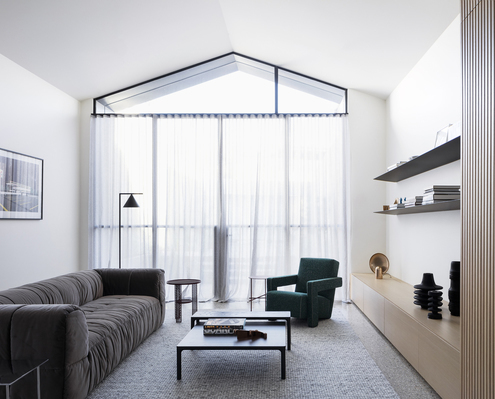 A design-focussed, Melbourne-based architect, Pandolfini Architects work on a range of single and multi-residential and commercial projects across Australia. Port Melbourne House by Pandolfini Architects Narrow Terrace Hides Several Space-defying Surprises A double-height space. An internal courtyard. A huge skylight. All tricks to create a sense of space hidden behind a narrow terrace.